Highly sought after in the international furniture market, original V11 pieces are rare and fetch high prices from collectors around the world who appreciate the extraordinary craftsmanship, beautiful curves and clean lines. Considered by design hunters to be one of the premium designs of the mid-century period, V11 seating can be found in the office of the Japanese president and in the collection of King Feisel of Saudi Arabia. True to the high standard demanded by the designer 40 years ago, each V11 piece is made from beginning to end by Great Dane's master craftsmen, elegantly making furniture that will stand the test of time. 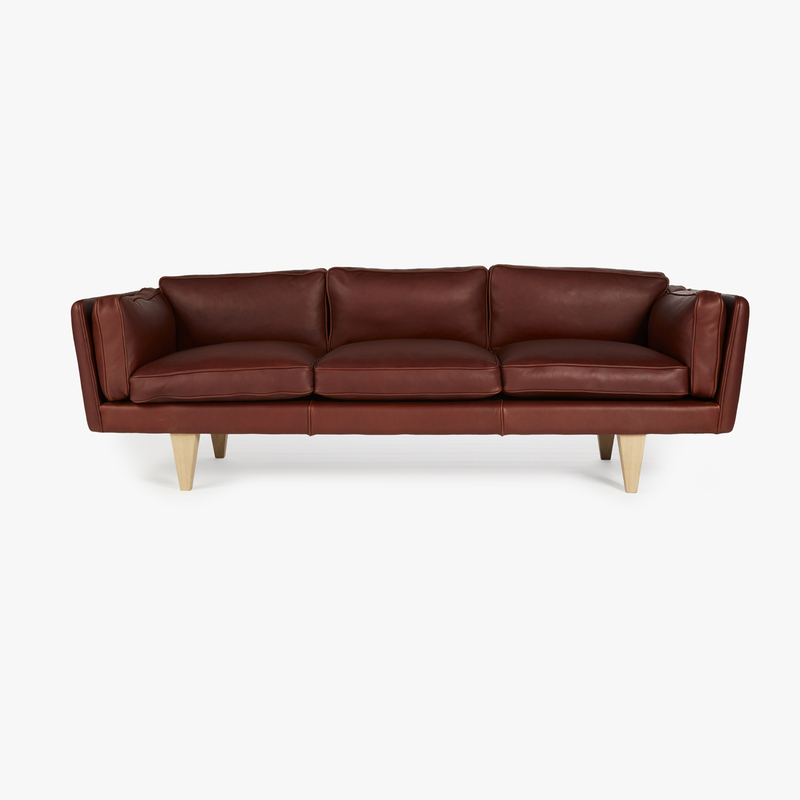 The V11 range comprises of a sofa, easy chair and footstool and is available in a range of upholstery options. Seat cushions are cold foam inner with duck feather wrap, arm and back cushions 100% duck feather. Price is for upholstery pictured. Alternative upholstery options available upon request.